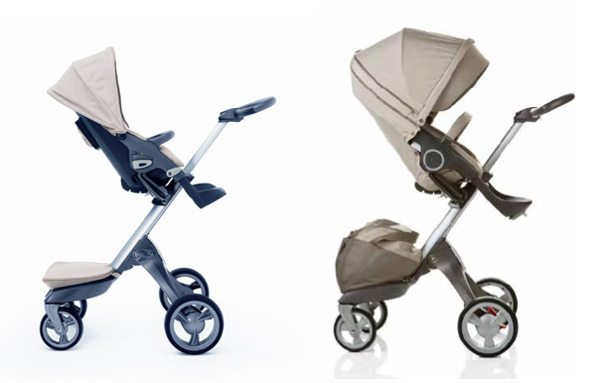 We gets lots of enquiries from people asking about the differences between the Stokke® Xplory® models. Hopefully this post will explain all. 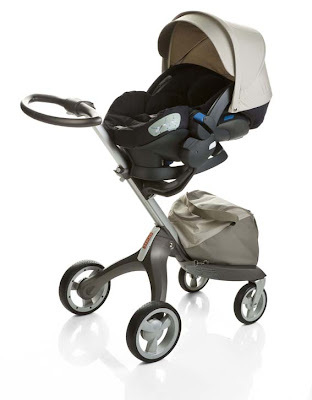 Stokke revolutionised pushchair design when Stokke® Xplory® launched back in 2003. The development team stripped back and challenged traditional baby transportation concepts to create an innovative, adaptable, versatile stroller packed with features that had never been seen before. Small modifications were introduced over the following years including the introduction of a lighter grey colouring for moveable parts including the footrest, seat removal, handle height and foot brake. Launch colours were : Beige, Blue, Red, Purple, Green and Dark Navy. 2010 also saw the introduction of the innovative Summer and Winter kits. The Summer Kit offers additional ventilation, terry cloth seat cover and a large sunsail, parasol and hood with Factor 50 protection from the sun's harmful rays. Where the Summer Kits ventilate the lush Winter Kits protect. An extra large hood with a deep, natural sheepskin trim, insulated storm cover and insulated seat textiles complimented with a lush warm hand warmer just for you. Winter 2013 saw the launch of the V4 with some small tweaks to the chassis. If you are trying to establish if your Xplory is a V3 or a V4 this is the information that you need. 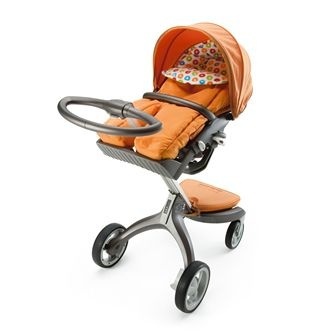 The V4 debuted the orange Stokke logo between the front wheels, the cup holder attachment was integrated into the handle to do away with the clumsy (and easily mis-placed adapter), a larger shopping bag that clips neatly onto the footplate was added along with lockable front swivel wheels. 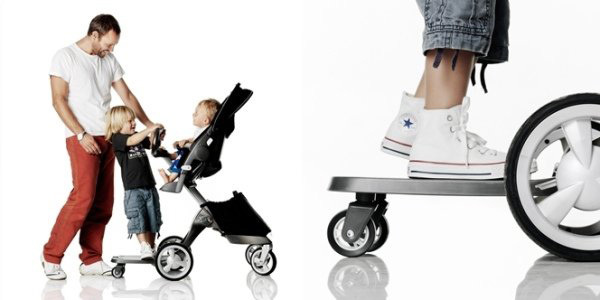 The most significant update to the Stokke® Xplory® V4 was the change to the folding mechanism. The clumsy lift and pull (if you have an early version Xplory you will know what we mean) switch was replaced by this swish catch that's much easier to use. For a demo of the V4 new features and fold take a look at this short video. We love the modifications but it is worth bearing in mind that the new V4 shopping bag DOES NOT fit onto the V3 chassis. Not a huge problem unless you are considering updating your Xplory with a fabric set that was released after November 2013. What a thing of absolute beauty. A sleek black chassis with black fabrics, what's not to love? 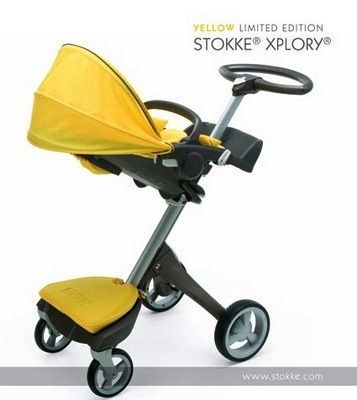 Stokke® Xplory® V5 - 2017 - 2017 saw a slight change to the Xplory chassis in the form of new wheels. The front wheels also became lockable. 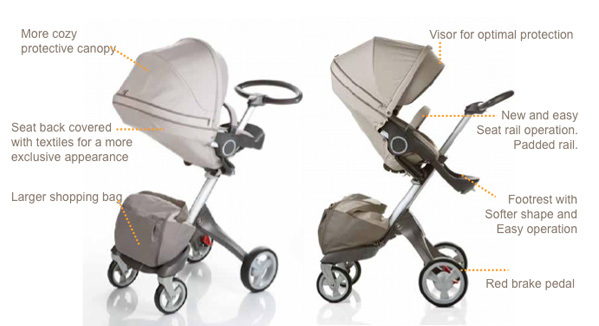 Eight years on from the last major update the Xplory V6 has a host of new features that make it the best Stokke® Xplory® yet. 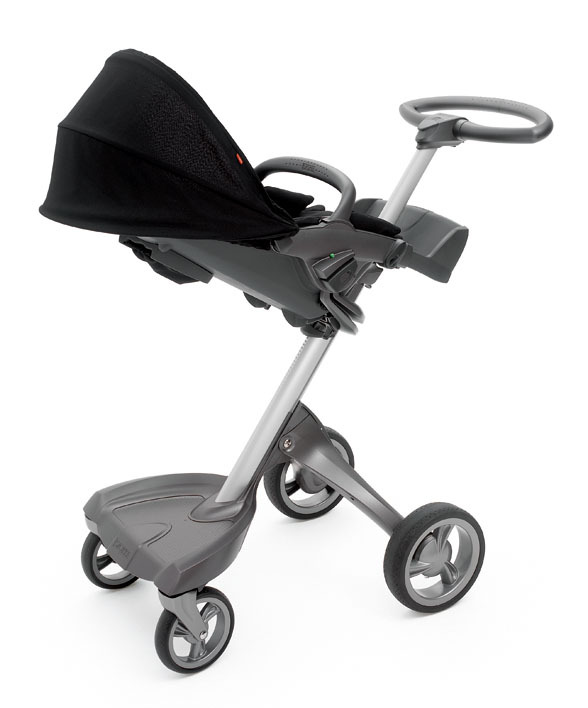 You can read our first look post Introducing the New Stokke® Xplory® V6 for full spec and changes. We hope that this will address any questions you might have about the evolution of the Stokke® Xplory® but if we've missed anything or there is anything else you would like to know, please just leave a comment and one of the team will come back to you. And finally.... here you have both designs side by side. How cute are the Summer kits and the sibling board is a must. Hi, anyone can advise where can i purchase the fabric style set for 2009 Stokke Xplory model? Javier, We no longer manufacture the fabric sets for the 2009 model. It's a case of hunting around in the many Stokke groups and sales sites I'm afraid. hi i would like to know can i fit iZi Sleep or iZi go on my Stokke xplory 2009 model? thank you! Can you let me know the manufacture date of my xplory by it's serial number? Hi,I have a 2009 Strokke xplory but I've lost my footrest.Is there any chance to find a compatible one ? Cause is quite uncomfortable for my baby.Thank you! 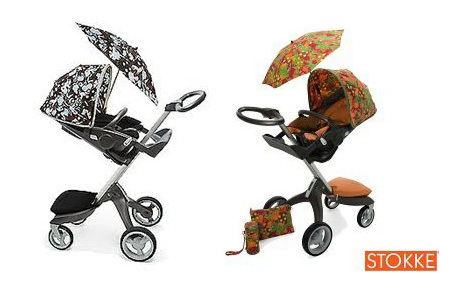 can i fit the new stroller fabric kit to V2 xplory stroller? can v3 seat fit into v4 chassis? Is it possible to put any carry pot (except v6) on v4 model? Hi. 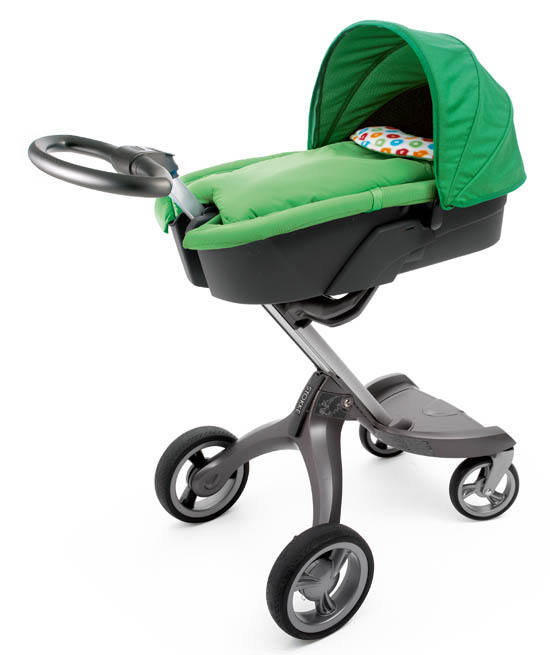 Can a V4 carrycot fit into a V5 chassis? I lost my shopping bag. How can I get a new one for the v3?? 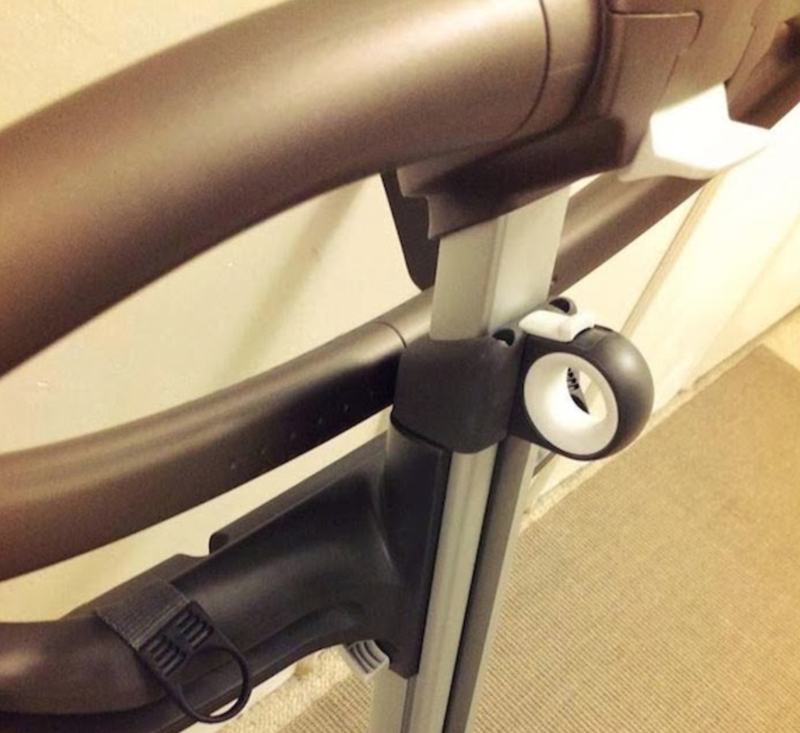 I lost my V5 seat bar, can you use the V6 seat bar on the V5?